Levon Helm, Drummer For The Band, Is In The Final Stages Of Cancer : The Two-Way His family made the announcement on Helm's website. His distinctive vocals can be heard on classics such as "The Weight" and "The Night They Drove Old Dixie Down." 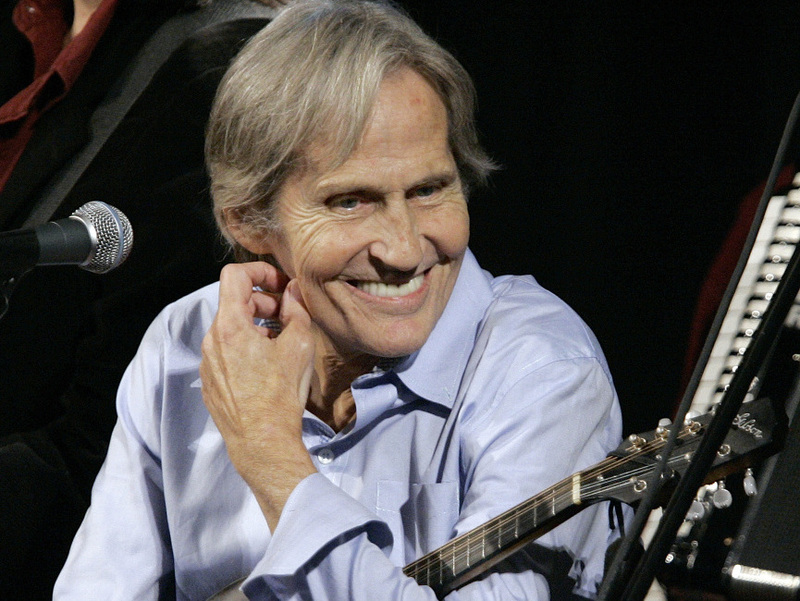 In this Dec. 3, 2007, photo, musician Levon Helm appears on Imus in the Morning in New York. The 71-year-old musician's family said Tuesday that he was in the final stages of cancer. Billboard reports that Helm's voice was reduced to a whisper after he was diagnosed with throat cancer in the 1990s. "But he still continued to sing on albums and at rollicking concerts at his Woodstock home," the Associated Press said. Helm's distinctive drawl anchored such classics such as "The Weight" and "The Night They Drove Old Dixie Down." The Band's original members were inducted into the Rock and Roll Hall of Fame in 1994. Rolling Stone magazine has a gallery of photos from Helm's career here.